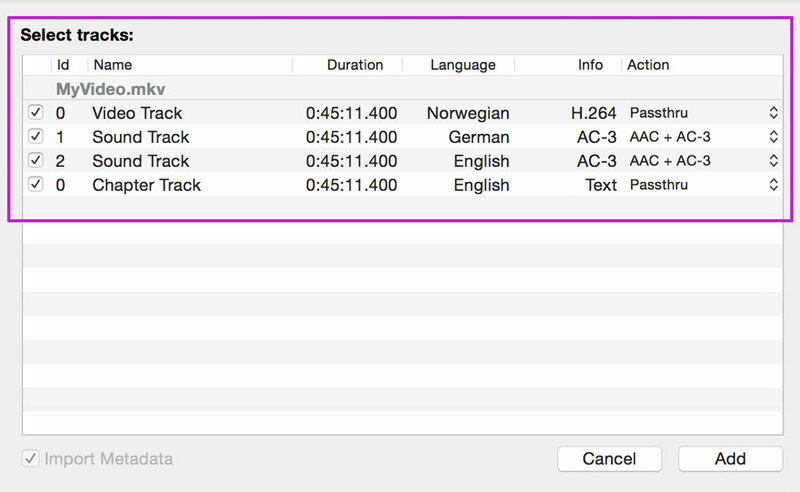 In my previous article I wrote about How to stream MKV files to your Apple TV. I mentioned the option to remux video files with an Open Source software named Subler. Here’s how this works. Subler is an application for Mac OS X app (10.6 or later) and available for free. Just download it from the Subler Website and install it. Mux video, audio, chapters, subtitles and closed captions tracks from mov, mp4 and mkv. Raw formats: H.264 Elementary streams (.h264, .264), AAC (.aac), AC3 (.ac3), Scenarist (.scc), VobSub? (.idx). metadata editing and TMDb, TVDB and iTunes Store support. Make sure that your MKV file contains “Apple TV compatible” codecs (especially H.264 for the video). Subler only works if the media formats inside the MKV/Matroska container are something your Apple TV can play. If that’s not the case, the new Subler movie simply won’t work. See How to stream MKV files to your Apple TV for details (if you don’t have compatible codecs, you have to choose another way like described in the mentioned article). Let’s start. At first, create a new project and click the “Add Tracks” button (button with the plus symbol in the upper left corner). Choose your MKV file that you want to remux for your Apple TV. Subler shows you all the available tracks in the video (normally at least one video and one audio stream). Just add them all because you can select the right ones in the next step. Now, select the video and audio tracks that you would like to be part of your new file. You can also add subtitles (for instance by adding a .srt file). Depending on the language you set, your Apple TV will show them (for instance choose “German” in Subler and set “German subtitles” in the settings of your Apple TV and voilà: They will show up). The next step is to send your project to the queue and choose the new file name (default file extension is .m4v which is fine). Start the queue with the play symbol and wait. Some minutes later, your file is ready and can be streamed to your Apple TV. 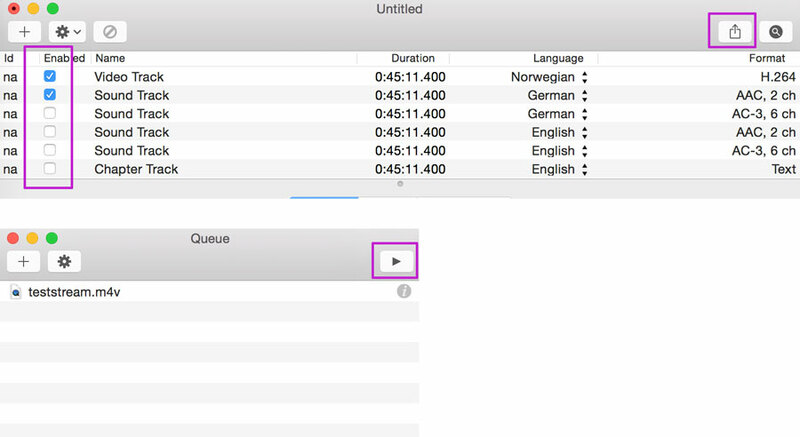 If you have subtitles: You can preview them in QuickTime or iTunes. Weird. Just used this on 3 mkvs. the first one plays but its all black screen and audio plays fine. the 2nd one plays just fine. 3rd one was doing the same as the first one but now seems to be playing just as fine as the 2nd one. All mkvs were from the same source too. This worked great for me for about 5-6 MKV files. Now, however, once I try, Subler just says “Working, item 1 of 1” in the queue window and never makes any progress. I’ve tried reinstalling the app and trying it on another user on the same computer, but it does the same thing.